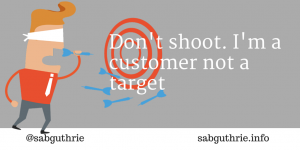 Customer not a target: Customers should be treated as co-creators not targets. This means forming meaningful relationships with advocates – a bedrock skill of the public relations professional. We’re not some amorphous blob waiting passively to be sold to by brands. Nor are we targets waiting to have sales messages fired at us. And, we’re not members of an audience sitting in some darkened theatre waiting to be entertained by firms. The social web has connected us and given us a voice. Yet many firms treat us like impassive objects. And, when I say ‘us’ I mean the important people inside and out the organisation – those who can affect, be affected by or even those who perceive themselves to be affected by an organisation’s actions. The customers, the suppliers, the employees, the shareholders, the regulators. Corporate values and mission statements may be peppered with spiritual metaphors – desire to inspire staff; believe in products; form partnerships. But the everyday language spoken throughout the firm is often reduced to fighting words. It’s “dog eat dog.” “Kill or be killed.” Some firms treat their important people like the enemy – not with empathy. The macho culture of the sales meeting talks of “taking no prisoners”, “attacking the marketplace”, “seizing market share”. “Starting a new campaign”. But as important people we want to engage with a company that stands for something. We want to peek behind the corporate curtain and learn what the firms we buy from actually stand for. We want to be part of a conversation around those values and beliefs. Increasingly we want to do more than just communicate. We want to co-create. We want and expect to actively shape many aspects of our lives. The balance of power is shifting fast away from message-controlling corporations towards the hyper-connected stakeholder who has a voice to share her opinion. Firms can no longer demand attention. They can’t capture it. Instead they have to earn it. Firms need to work with all their stakeholders to develop their ability to create new knowledge, quickly and then to share it throughout their networks. To quickly embody this knowledge in key products, services and systems. This means creating honest, long-lasting relationships. The bedrock skills of the public relations industry. Today’s successful business world is marked by more collaboration, more mutilisation and more co-operative ownership between stakeholders. 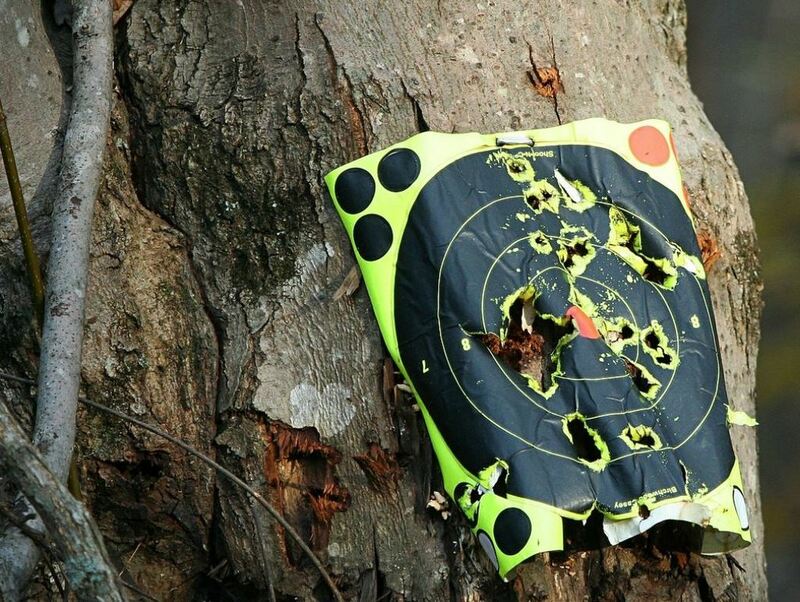 A customer not a target. Participation and freedom are more valuable than control. The social web allows savvy businesses to build on the techniques of relationship marketing and to develop active multi-level dialogues with those inside and outside their organisations. Together forming mutual expectations through earned trust and loyalty. The chart tracks the positive transition in communications’ approach from manipulation through transaction and relationship marketing to co-creation. It’s a growth in thinking from customer focus (albeit treating her as merely passive) towards the rounded view of the stakeholder which co-exists alongside the firm to fulfil mutually rewarding needs. I’ve adapted the work of Prahaland and Ramaswamy in the chart, as well as later modifications by the Open University Business School, to widen the approach from customer to include stakeholder and elevate the function from marketing to strategic relevance for every business. Previous Post 5 reasons CEOs should be social leaders Next Post Are Klout scores still relevant?